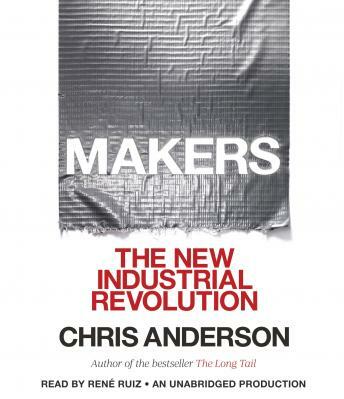 3D Robotics co-founder and bestselling author Chris Anderson takes you to the front lines of a new industrial revolution as today’s entrepreneurs, using open source design and 3-D printing, bring manufacturing to the desktop. In an age of custom-fabricated, do-it-yourself product design and creation, the collective potential of a million garage tinkerers and enthusiasts is about to be unleashed, driving a resurgence of American manufacturing. A generation of “Makers” using the Web’s innovation model will help drive the next big wave in the global economy, as the new technologies of digital design and rapid prototyping gives everyone the power to invent--creating “the long tail of things”.